The Manchester Derby is upon us. Welcome to another edition of Talk of the Turnstile, the place where I discuss recent goings-on in the world of football and of course SoccerStarz. 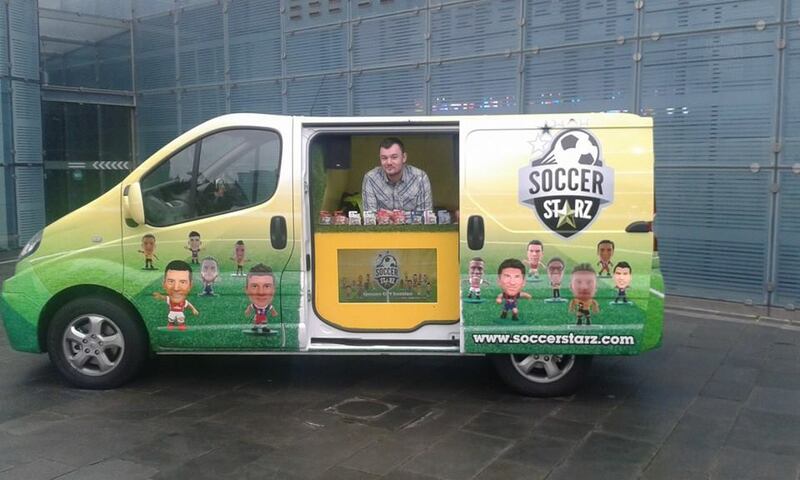 We will start with last week’s launch of the SoccerStarz Van. As many of you know the van was unveiled at the National Football Museum and we would just like to thank everyone that attended. Each attendee received a bling bag, a blister pack and a special voucher for use within the football museum. The van will now begin to tour the country with dates to be released soon. Keep an eye out though because we could be driving anywhere on any given day. This Thursday the van stopped in numerous places around London. Could your town/city be next? Have you added us on Snapchat yet? Add us now for your chance to see brand new product releases, behind the scene sculpts and much more! Our username is ctcSoccerStarz so get adding. Ronaldo and Co. eat into Barcelona’s lead. Another Ronaldo goal, plus efforts from Pepe and Benzema saw the European Champions overcome the Catalans in the first El Clasico of the season. Barca had actually gone ahead thanks to a neat finish from Neymar, but Real bit back with three goals to give them the victory. Oh did we mention it was Luis Suarez debut? Will Manchester be blue or red this Sunday? Like the El Clasico above, Manchester hold’s its first derby of the season this weekend. The current Champions will be favourites for this tie, but will be missing David Silva. United on the other hand can welcome Wayne Rooney following a three game suspension and will be full of confidence thanks to the late goal scored against Chelsea last week. Here are the current standings of the SoccerStarz Premiership and we have a new league leader. Lunatic Attack Force are the new leaders of the SoccerStarz Premiership, knocking New York Yankees down to second place. Bismillah ahhhh make their first appearance in the top five, taking third spot, Catch Me if You Kanu are forth with Dangarys Corinthian now sitting in fifth place.